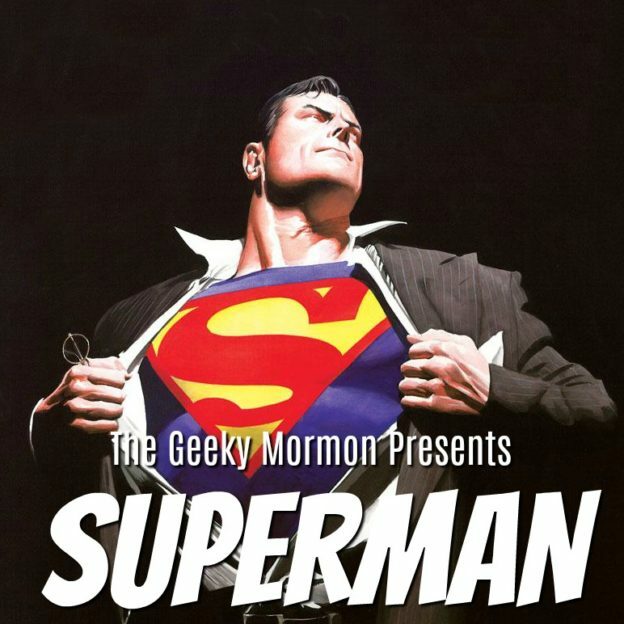 Episode 5: The Geeky Mormon Presents…Superman! This week on the show, I am talking all about Superman, just in time for Action Comics #1000 to hit the store shelves on Wednesday. This is a huge, momentous occasion for me as a lifelong Superman fan. What I have included this week for the show liner notes is basically the script I wrote up for the episode. It’s long, but I think it is interesting to see where I went off script and what I changed in the moment when I was on the mic. Plus it gives me an opportunity to add in some visual extras that you couldn’t hear in the show. I hope you enjoy. Hello and welcome to a very special episode of the Geeky Mormon Presents, being recorded in our newly named Geekopolis Studios. This week we are discussing one of my all time favorite characters across all genres and media. Maybe my number on favorite- Superman. 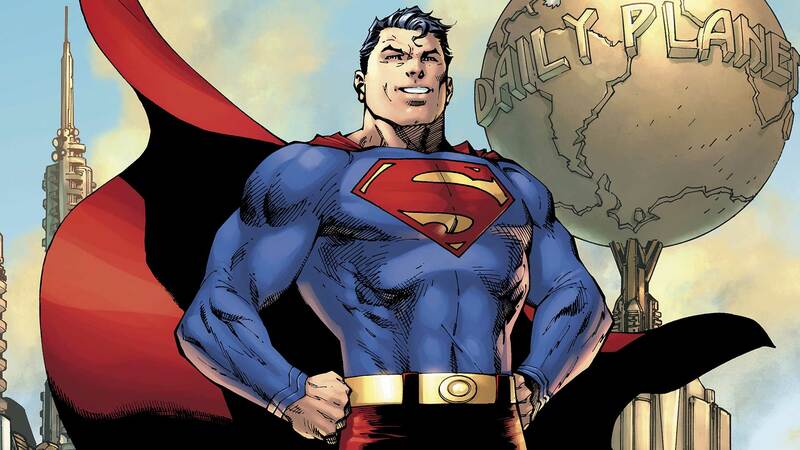 We are talking about him instead of Star Trek: The Next Generation because this week, Wednesday, April 18, is when Action Comics # 1000 is coming out. This issue is special, in part because it marks the 80th anniversary of Superman. That’s right, Superman as a character has been around since 1938. On this episode, I am going to discuss why, I think, Superman has endured for so many years, and why I think he is going to endure for a lot of years yet to come. First I wanted to talk a little bit about my own, personal, Superman history. I think one of the earliest memories I have of Superman is a little Superman action figure I had. 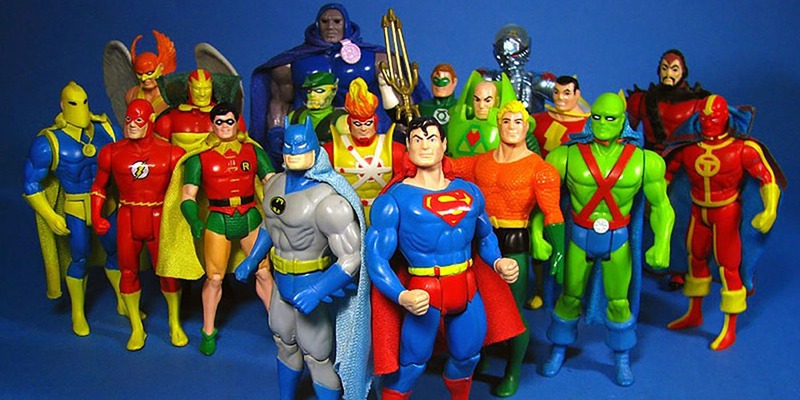 It was part of a line of action figures, done by Kenner called DC Super Powers. 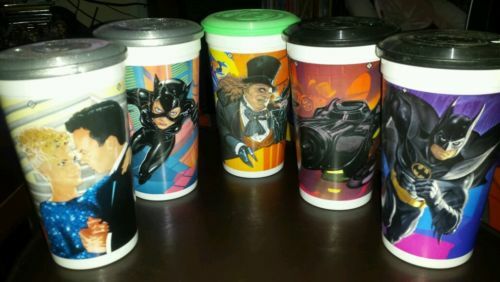 There were a lot of DC’s classic characters to choose from, and I remember I had quite a few. I know I had Green Lantern, with his actual lantern for charging his ring, Aqua Man, with his trident and fin kicking action on his legs, the Flash, who’s running leg action looked a lot like Aquaman’s fin kicking action, and of course Batman and Robin, with their cloth capes that could just be snapped onto the necks. But above all of them was my absolute favorite- Superman. Like Batman and Robin, Superman had a cloth cape, and it seems like if you squeezed his legs together, he did some kind of punching action. It is still probably one of my favorite toys I’ve ever owned. More than my He-Man toys, or my Ninja Turtles, this action figure still stands out for me. I think it was the beginning of my obsession with Superman. 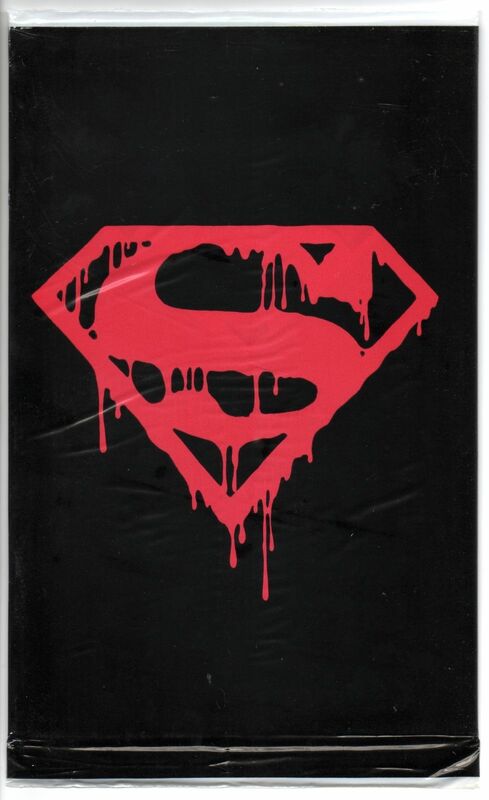 In the 90s, I really started getting into comics, and the one I like to buy the most was Superman. Which was great, because DC at the time had 4 different Superman titles running monthly. There was, of course, Action Comics (or at the time Superman in Action Comics), Superman, The Adventures of Superman, and Superman: The Man of Steel. That meant that every week, there was a new Superman adventure to read about. And issues at the time were usually $1.25, so it wasn’t breaking the bank, either. Of course, the 90s was one of the strangest decades for comics. Both Marvel and DC were trying to modernize their titles and change things around. 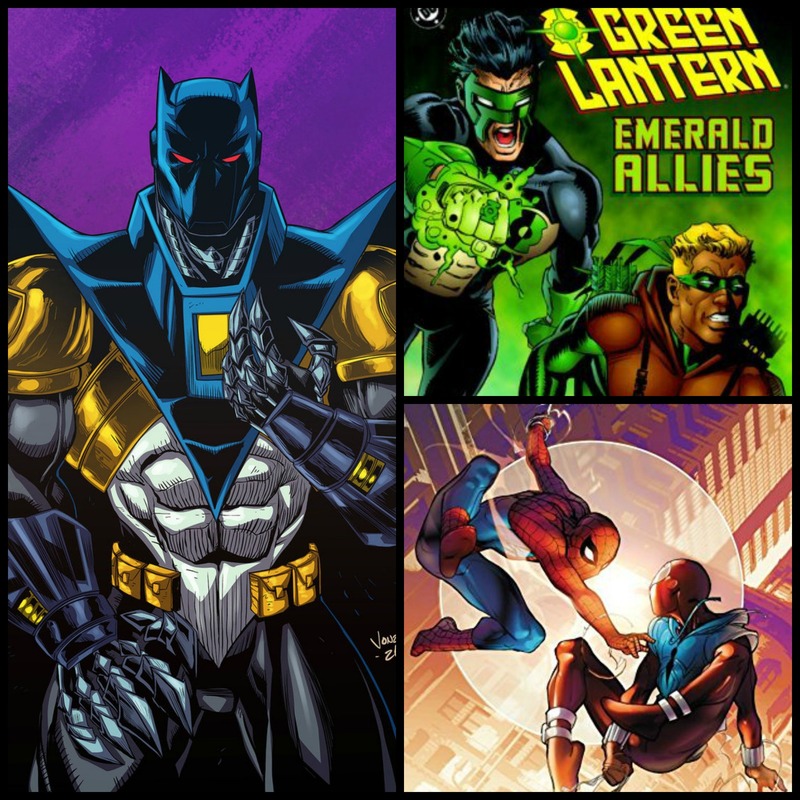 Marvel had the great (meaning kind of terrible) spider clone saga, DC replaced Bruce Wayne’s Batman with the Azrael version, as well as basically all their characters being replaced by newer versions- Green Lantern and Green Arrow come to mind. Most of these changes were not great. Superman was not immune. In fact, he really kind of got hit twice in the 90s. First DC killed him. It was the biggest comics story of possibly the whole decade. Superman went up against this new monster killing machine, known as Doomsday. This was the original Doomsday. We got no backstory on this new monster, he just showed up and started destroying stuff and killing things. Literally one of the first frames we see him in, a little bird lands on his hand, and he squishes it. We also get no dialogue from the monster either. Just destruction and chaos. At the time, it was the perfect villain for this story., He had all the strength of Superman, and no qualms about killing. Or, better said, enjoyed or even needed to kill. He was truly a monster. He destroys the Justice League of AMerica (let’s be honest, though, this Justice league may have been one of the weakest lineups ever), and eventually ends up in Downtown Metropolis facing off against Superman himself. And then it was just pages and pages of a slugfest. Just a nasty brawl, where neither side was going to quit until the other side was stopped permanently. In the end, Superman puts the beast down, but not before sustaining enough damage to die himself. I still remember reading that issue for the first time. It was pretty amazing stuff to my nearly teenaged mind. It actually still holds up pretty well. What I also remember, though, was all the hype for this issue. This was, of course before the internet as we know it, so there wasn’t a bunch of sites talking about it or a bunch of chatter on social media. But this story was a big enough deal to make it into the mainstream media. In addition to the story being a big deal- is DC really killing of Superman?- this was about the time where comic collecting was being seen as an investment. There were now issues of comics that had been around 40 or 50 years, and people were paying big money at auction for important issues, Action Comics 1, or Amazing Fantasy 15, or whatever. Number 1 issues and first appearances were the issues that brought big money. But other issues could bring money as well, if there was some sort of significance to it- something major happens or the cover stands out. Part of what made these comics valuable was that they impacted the characters down the line for decades and years, but also what made them valuable was that no one in the 30s or 40s or 50s or whatever were collecting comics for money. They were buying them and stacking them in their bedroom or in their basement or simply throwing them out. So, these issues became important, and then they became rare. That’s what caused their value to increase. In the 90s, collecting became an investment. The publishers saw this as a way to cash in, so they started to not just release the issue, but to have special editions of an important issue. Then they would flood the marketplace with them. The Death of Superman was one of these issues. You could buy the regular issue, or you could buy the plastic sealed bag issue. 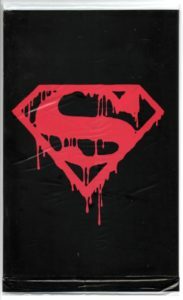 It was sealed in a black plastic bag with a red, bloody superman s on the cover. That was the one to buy, and the price skyrocketed. At least for a year until Superman came back. I remember all of this, and it was right in my hey day of comics buying. Superman was replaced temporarily by four supermen- each one different, but each one claiming to be Supes. Then he came back, and everything was great. I mean, besides the bad 90s long hair, everything was great. Until Superman Blue and Red happened. This was the second, and more tragic 90s blow to the character in the comics. Somehow, his powers totally changed, and he became a being of energy. Blue energy. It looked really cool, except it wasn’t really Superman. Then he split, and was two beings, a Red one and a Blue one. It was the 90s, and it was weird. I still remember being very excited when, for his 60th anniversary, they put him back together and back to normal. That was also about the time I slowed down on my comics in take. I had almost hit adult hood. I was in high school, and comics were not cool, so I went away from them for a while, but I did not go away from Superman. I think it was the summer between my Junior and Senior year, when I set myself a weird goal. I wanted to have enough Superman shirts, that I could wear one every day of the week. I was working, and as a teenager felt like I had nothing but disposable income, so I went for it. I don’t know how many I had, but it was probably in the teens. I think I hit a week’s worth, and decided to keep going until I had two weeks worth. To be clear, when I say a Superman shirt, I mean a shirt that has the Superman S on it and nothing else. I liked variety, so I didn’t just buy a bunch of the same one. Had a selection. I had one that was like a soccer jersey, one that was black with a steel S logo on it, a white one with the s, a normal one, a 3d on, and the list goes on. I really wore them quite a bit, and I thought I was pretty awesome. Now, obviously, when I was 19 and left on my 2 year LDS mission, I wore white shirts and ties. I brought along my Superman tie, but I don’t think I ever wore it, or maybe just once or twice in the mission field. After the mission, I didn’t come right home and get back into comics, but I was still into Superman. As a result of my love for the character, my baby brother got into him as well. I don’t know if his obsession ever reached my level of obsessiveness, but I think he is still into the character. Ever since I have had a desk at work, I have always had something Superman on it. Right now, I have an action figure based on Action Comics #1, as well as a couple of Funko pops. As a dad, I have shared my love of Superman with my kids. My oldest likes Superman, but his favorite is the Flash, but my second son, Jak, loves Superman. He is still Jak’s favorite superhero. My youngest son likes Superman and Batman. He loves anything that has the two of them together. And it is cool to see in the comics now that Superman is also a father and trying to connect with his own son and be a husband. I guess, for me, in my time on this earth, Superman has always been there. He is like an old friend to me. I may not see him everyday, or hang out with him. I might go months without reading a Superman comic or watching a Superman show, but whenever I do go back, it is always instantly familiar and comfortable. He has just always been a constant for me from the time I was little until now. Why is that? He has not just been a constant for me, but for pop culture. Why has he endured for so long? I think a lot of that has to do with what he represents. Whether it is what he has always represented, or what he has grown to represent with time, I think that is why he has endured. He represents truth, justice, and the American way. I know, it’s not cool to say the American way anymore, but I’m going to say it, because when I think of the American way in this context, it is an ideal. An ideal that America, at the time, in the 40s and 50s, represented the best of the world. The idea of standing up for the little guy, especially if you were the big guy. That’s what Superman is all about. He has all these powers and can do all of these amazing things, and he could use them all to get ahead and better his own situation, but he doesn’t do that. Instead, he uses them to protect those who can’t protect themselves, to help those who can’t help themselves, to be strong for those who are weak. In a lot of ways, in the 40s and 50s, this how America viewed itself. We had just won World War II, and we entered a new age where it seemed like nothing was impossible. We were one of two super powers in the world, but we were the good guys, because we stood for freedom and independance. Now, you can argue with whether any of that was actually true, but I think this was the view most AMericans had. Really, for me, this is why we need a character like Superman today. In a lot of ways, we have lost track of these ideals. We aren’t concerned as much with protecting those that need protecting or helping those that can’t help themselves. Instead, we are only concerned with ourselves. That’s why we need Superman, even today. He is an example of how all that power can be good, if used properly. He is an example of someone who is strong and lifts others up. That is a great thing and something we need more of. I love Superman, because of what he represents. The best of all of us. The best us we could be. Something to strive for. We need more of that in this world, not less. So while others may say he is outdated and old fashioned, I would just say they’re wrong., He is exactly what we need right now. Thank you for listening to this episode. I know it was longer than most, but it’s hard for me to keep my Superman comments down to just 30 minutes. Next week, we will go back to Star Trek The Next Generation, the episode I was going to do this week. If you have any comments about the show, any questions or feedback, or if you have an idea for a future episode, you can email me at thegeekymormon@yahoo.com I would love to hear from you there. Please be sure to follow me and the show on twitter and instagram- both @thegeekymormon, or on Facebook- just search for The Geeky Mormon. Or better still, follwo me in all three places. You can also subscribe to the show on any app you choose for your podcasting listening pleasure- we are on iTunes, Stitcher and on Google Play. Please, if you get a chance, leave a review or rating for the podcast on any of those platforms. Those reviews and ratings help others to find the show, so it would be appreciated. Again thank you for listening. I’m Jake Dietz, and I’ll talk to you again next time. Have a great week everyone! This entry was posted in DC Comics, Random Ramblings on April 16, 2018 by Jake Dietz.